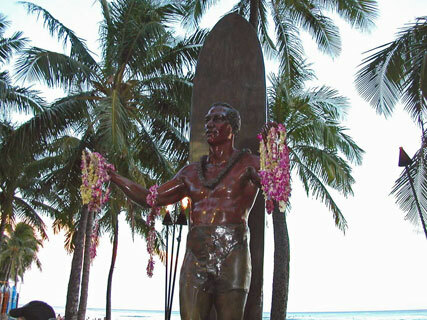 For many, the thought of Waikiki conjures up images of palm trees blowing in the wind, Hawaiian music, aloha shirts, turquoise water, white sand beaches, souvenir shops, and of course the Mai Tai. 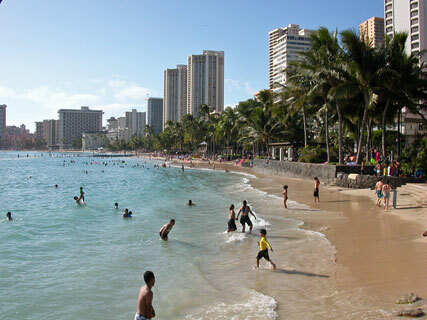 Waikiki is often the only destination that tourists to the island of Oahu experience. 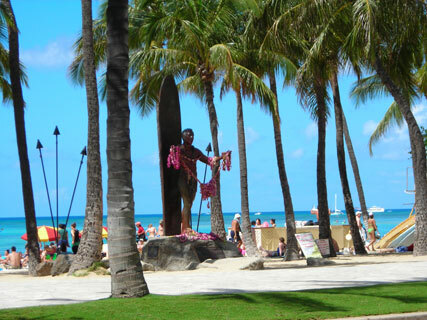 While there is so much more to see on the rest of the island, Waikiki is definitely the premiere tourist hot spot. 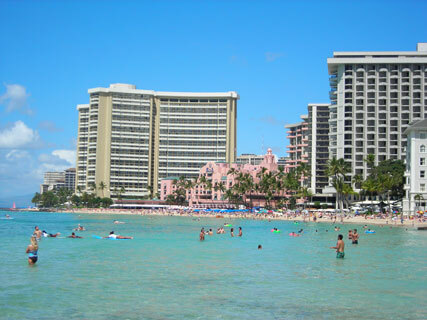 The vast majority of hotels are located in Waikiki. There is shopping and restaurants galore. 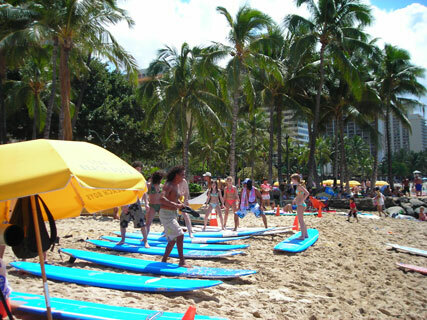 Over the past few years, Waikiki has undergone some dramatic and welcome changes. 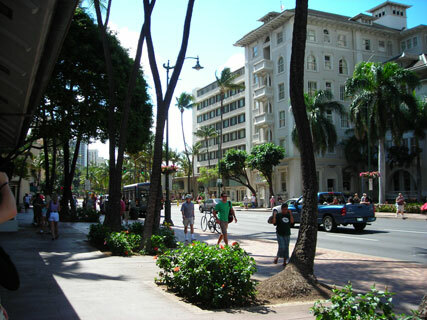 Sidewalks on the main streets (Kalakaua and Kuhio) have been widened and additional trees have been planted. 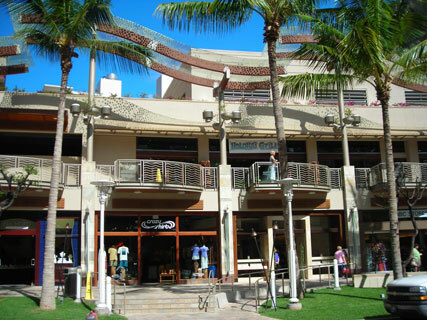 The Royal Hawaiian Shopping Center, once a concrete fortress, has undergone a massive renovation opening up the shopping area and making it more inviting visually as well as attracting exciting new stores and restaurants. The newly built "Beachwalk" area also added many new shops and restaurants. The Honolulu Zoo and the Aquarium are also located here. 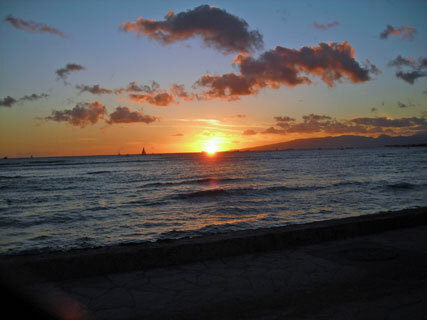 If you are lucky, you will be here when the city of Honolulu hosts the "Sunset on the Beach" program at the "zoo-end" of Waikiki on Queen's Beach. Movies are shown on a large outdoor screen and food and beverages are offered at nearby stands. It's usually held on the weekends and is free. Just bring a beach blanket to sit on and enjoy dinner and a movie right on the beach. 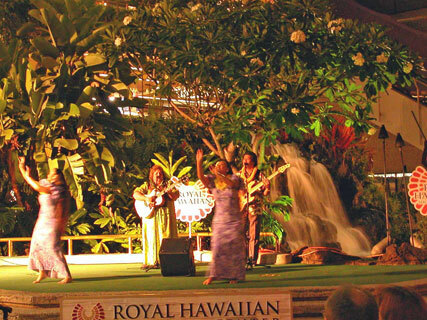 On Friday nights, the Hilton Hawaiian Village hotel sponsors a short fireworks show immediately following their Hawaiian entertainment show featuring hula dancers and fire-eaters. Truth be told, the actual beach is not that great. 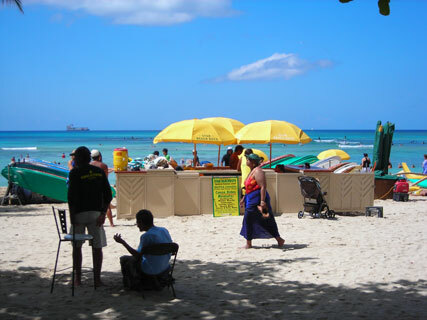 It is a relatively narrow strip of sand that is usually crowded. If you are looking for expansive white soft sand beaches, head over to Kailua on the Windward side. But, what Waikiki lacks in good quality beaches, it makes up for in other ways. * Pick up a free "101 Things to Do" or "The Best of Oahu" magazine in racks along Kalakaua Ave. They list lots of activities and have many money-saving coupons. 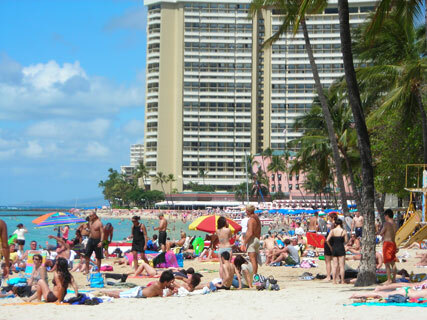 * Buy some cheap beach towels, tote bags, water toys, cheap souvenirs, and snacks at one of a dozen ABC Stores located all over Waikiki. * Hop a free shuttle to the Hilo Hattie store. 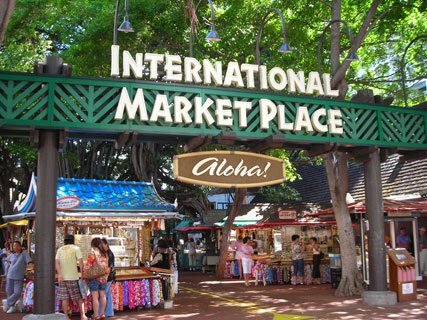 It is full of aloha-wear and quality souvenirs. Plus you get a free shell lei necklace upon arrival. * Interested in "old Waikiki" ? Visit the mini-museum located on the second floor of the historic Moana Surfrider hotel and check out the hundred-year old Banyan tree in the courtyard. * Looking to venture out from Waikiki ? Look for the people handing out coupons on the sidewalk for cheap tours and activities. Position your mouse over the image below and click on the circles to navigate around Waikiki. See if you can find the Waikiki Honolulu Police station. Click on the upper right corner to view it in full-screen mode. Driving from the airport: Exit airport in right lane onto H1 East. Move into one of the 2 right lanes. Continue straight to Exit #18A, Nimitz Hwy (Hwy 92 East) After approx. 4 miles, Nimitz Hwy becomes Ala Moana Blvd. Continue on Ala Moana Blvd. through Honolulu. After approx. 5 miles, turn right onto Kalakaua Ave. Follow Kalakaua Ave into Waikiki.